DeBelle Gel Nail Polish is a gel based, highly pigmented formula which makes the nails look beautiful and bright. It is available in the latest trendy colors with both matte and glossy finish. 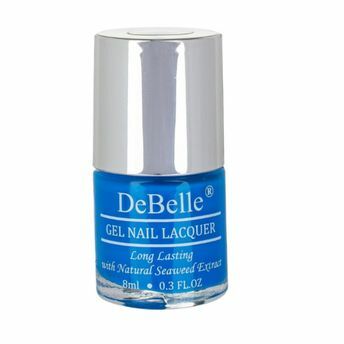 DeBelle Nail Polish is long-lasting with a gel base formula. It contains natural Seaweed extracts that help to promote nail growth and lets your nail to breathe. It is the easiest way to get a professional gel finish manicure right at home. Good coverage in one stroke. Explore the entire range of Nail Polish available on Nykaa. Shop more DeBelle products here.You can browse through the complete world of DeBelle Nail Polish .Alternatively, you can also find many more products from the DeBelle Gel Nail Lacquer range.